This week I finished Gone Girl by Gillian Flynn. “On the day of their fifth wedding anniversary, Nick’s wife Amy disappears. There are signs of struggle in the house and Nick quickly becomes the prime suspect. It doesn’t help that Nick hasn’t been completely honest with the police and, as Amy’s case drags out for weeks, more and more vilifying evidence appears against him. Nick, however, maintains his innocence. Told from alternating points of view between Nick and Amy, Gillian Flynn creates an untrustworthy world that changes chapter-to-chapter. Calling Gone Girl a psychological thriller is an understatement. As revelation after revelation unfolds, it becomes clear that the truth does not exist in the middle of Nick and Amy’s points of view; in fact, the truth is far more dark, more twisted, and more creepy than you can imagine.” It’s hard to read a book where you can’t accept the writing as truth! The characters paint pictures of themselves and you never know whose thoughts, if anyone’s, are reality. Throughout the book I found myself disliking the characters more and more, which I’m sure was the author’s intent, but also makes it difficult to enjoy the book. I definitely would have liked it better if there was justice in the end, but I agree with most reviews out there which call the ending “pallid” or a “let down”! It’s the 3rd week of the month which means the Literary Junkies Link Up, yay! I just started reading The Third Victim by Lisa Gardner. It begins with a school shooting and I haven’t gotten much farther than knowing the event occurred. 2. Give us the recipe for a great book. Likeable characters, interesting plot line, a story that keeps moving, just the right amount of description, factual background without mistakes, and a satisfying conclusion. 3. Tell us things you’ve learned from a book recently. Did you learn anything about history? Did you take away a deep & profound realization about the world around you? Or maybe even a beauty tip? I learned a lot about the late 50’s and early 60’s from 11/22/63 by Stephen King, which I reviewed last week at Jen’s blog. If you missed my write up, here it is! This book is about fate and the possibility of changing the past (the past doesn’t want to be changed). The characters are believably flawed and yet perfect for their roles in the story. If you’ve ever wondered what the world would be like if a watershed event was changed or eliminated, this book provides a possible answer. Stephen King weaves facts about Lee Harvey Oswald in with the fiction of the story making the possibility of a man named George living across the street from Oswald seem completely real. Is there an event that you would go back in time to change? Before you answer that question, read this book!! I remember reading Just As Long As We’re Together by Judy Blume and I Want To Go Home by Gordon Korman repeatedly! 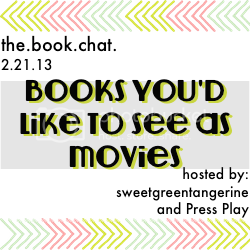 Lately I’ve found myself thinking a lot of the books I’ve read should be movies! Actually, with 11/22/63, I was thinking it would have made a great TV series. (Maybe a mini-series?) 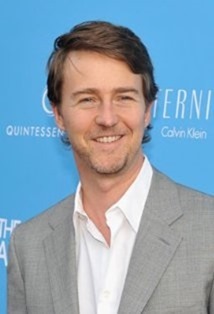 I could see Edward Norton playing Jake and Blake Lively as Sadie. Like I’ve seen others saying, I’d also love to see The Night Circus as a movie. Apparently it will be one! 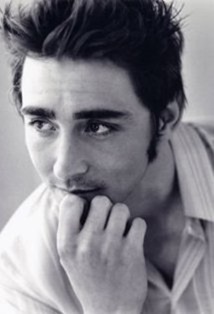 The author, Erin Morgenstern, suggests Lee Pace as Marco.